India Art n Design inditerrain: An incredible Toy Story! 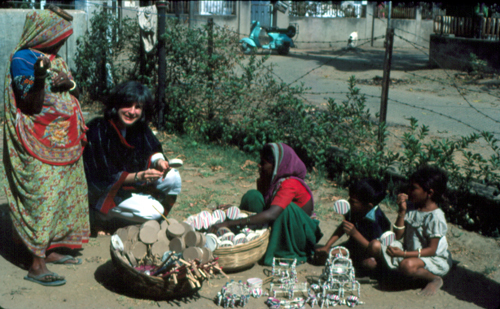 He not just believes but demonstrates toys as the simplest means to absorb the successful blend of art and technology as Sudarshan Khanna retraces his association with toy-making and the child psyche. Realizing his penchant for design, Sudarshan belonged to the very first batch of product design course at the National Institute of Design (NID), Ahmedabad, India. He is reverential about his 35 plus-year long association with the institute, as he graduated to become an educationist, establishing a post graduate program in Toy Design and a Toy Innovation Centre there. “I am a people person.” He explains. “The bulk of design is creativity but it is also about reading people’s mind and understanding what they want and what they should want.” This guiding principle underlines Sudarshan’s explicit toy designs for people with special needs; ingeniously aiding recognition, coordination, sensitivity and even nuances of science. Sudarshan’s eyes twinkle with unbounded enthusiasm as he reminisces, “How do you teach gentleness to a child? Or how do you teach centrifugal force to the visually impaired?” Such questions are seamlessly answered by some of the toys from his huge collection! Gravitating further towards people with special needs was impacted by Siegfried Zoels, director of ‘creativity workshop for special needs’ in Germany. Several discussions led to a beautiful prototype of a toy by Sudarshan that triggered more designs; these were eventually introduced into the market. “He was also greatly instrumental in my setting up the Toy Innovation Centre and post graduate program of Toy and Game Design at NID,” he keenly adds. 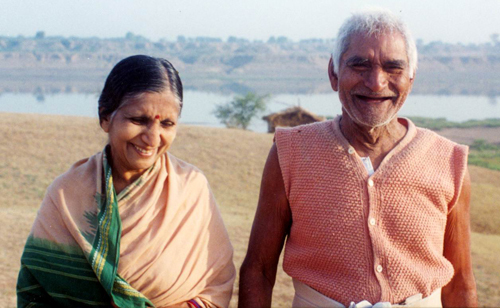 Social activist Baba Amte’s workshop at ‘Anandwan’, a community rehabilitation centre for leprosy patients, proved to be one of his best learning experiences. 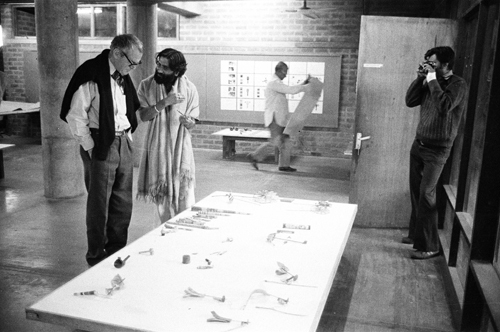 It also later led to a new approach for ‘System Design’ at NID - a program on design for community. “Design helps me experience immense pleasure out of unveiling the unknown; to discover and explore the complexities of behavioral science and mechanism,” he gushes. Renowned American designer, Charles Eames reinforced his vision and understanding of design that, ‘ordinary can be transformed into extraordinary’. That design, is a remarkable learning resource that educates through discovery and first-hand experience. Toy design especially, allows him to determine the incredible strength and diversity in materials that he inadvertently discovered in traditional folk toys. 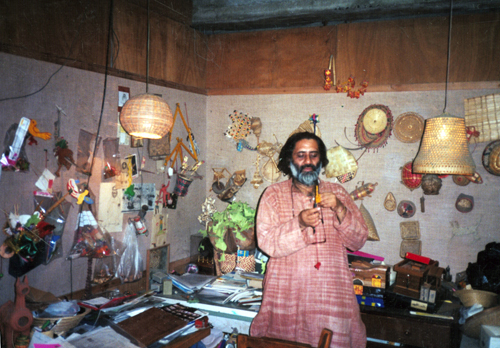 Recognizing craft as ‘design’ and not just craftsmanship, Sudarshan discovered profound wealth of knowledge in several extraordinary craftspeople from various parts of India. It was from an old potter and toy maker, Buddha Chacha (old uncle), that Sudarshan recognized the true strength of hard work and dedication. Acknowledging unknown geniuses, who apparently innovated some very unique traditional toys, Sudarshan, encouraged by Zette Emmons, the present curator of a museum in New York City, documented these in his first book, Dynamic Folk Toys. Zette had lamented that such an interesting monumental resource was slowly depleting and thus a book would have invaluable documentation in cultural and educational contexts. Ushering in creativity, innovation and storytelling as an essential component of growth, Sudarshan conducts workshops for teachers to help them experience the relevance of holistic learning. His connection with Antal Kelle, a Budapest based Hungarian designer, he identifies gleefully as his ‘twin’ brother is uncanny. They believe to share similar vision on principles of education and design philosophy that develop and intensify with mutual discussions and practice. Ever so enthusiastic about his toys, Sudarshan Khanna is currently the design consultant to ‘Universal Learn Today’, by India Today Group that seeks to manage the curriculum in schools through creative ways of thinking, by means of design. I would like to participate in the workshop conducted by Mr. S. Khanna. Actually looking for a chance to work with him in a workshop. Of course there is lots more !!!!!! After longtime I found such detailed yet engaging overview.